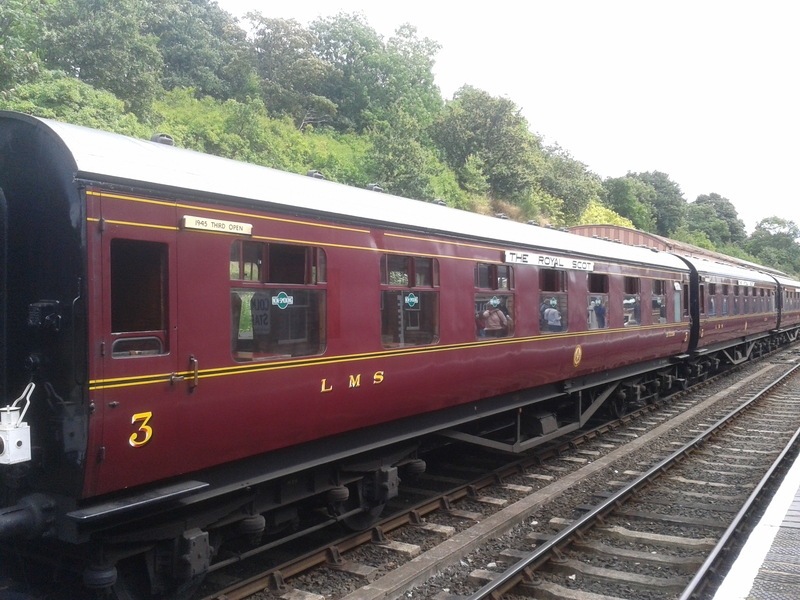 The Severn Valley Railway runs between the towns of Bridgnorth and Kidderminster in the West Midlands. The railway line itself was finished in 1862, Initially used as a freight line, the line became a passenger line around the turn of the century, but was used much less frequently as the motor car became the primary mode of transport. In 1965, a group of railway enthusiasts planned to preserve the line, and work started to raise the necessary money to do so. By 1984, the line between Bridgnorth and Kidderminster had been bought, and in the early 1990s work started on the restoration of the line. Today, there are 8 steam locomotives and 12 diesel trains in operation on the line. 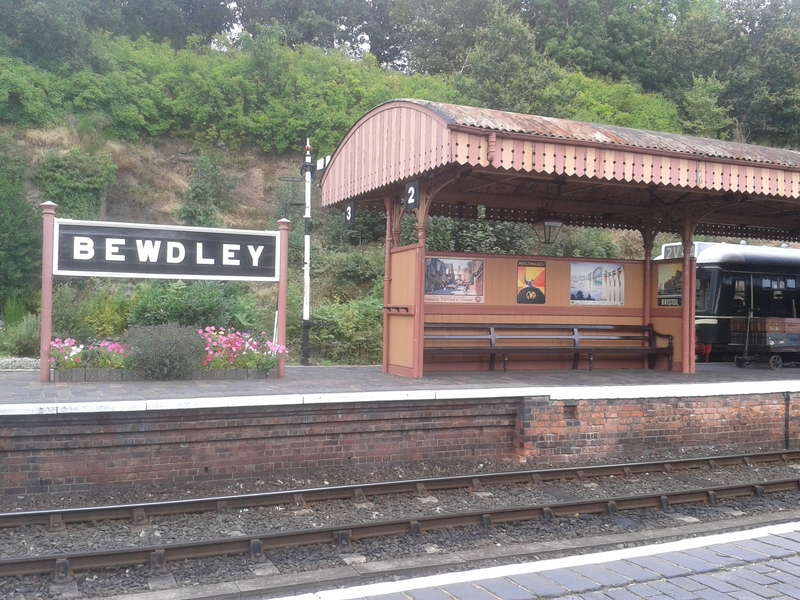 They stop at 6 stations along the line: Bridgnorth, Hampton Loade, Highley, Arley, Bewdley, and Kidderminster. Each stop offers its own attractions. At Bridgnorth, the High Town and Low Town are connected by the steepest funicular railway in the country. The bustling Saturday street markets and ruins of the medieval Bridgnorth Castle attract many tourists. Hampton Loade is a small hamlet, which is home to the last remaining foot ferry in the UK. It provides a nice backdrop for a picnic, and offers the opportunity for a walk to the Dudmaston Estate. Highley is a small station, offering good cycling and walking routes. A little further along the line is the village of Arley, where visitors can take a short walk to Arley Arboretum. is a picturesque Georgian town with a number of riverside cafes and restaurants (of which I can recommend The Mug Inn and Angry Chef Restarant highly). Home to many shops as well as many eateries,the town has its own museum - the Bewdley Town Museum - which is worth visiting. Behind the museum the quiet Jubilee Gardens are a nice getaway from the hustle and bustle of the town centre. Kidderminster is at the other end of the line, and is a handy town to start the journey on the Severn Valley Railway - it is 30 minutes from the M5 motorway, and the railway station for National Rail services is 50m from the Severn Valley Railway station.